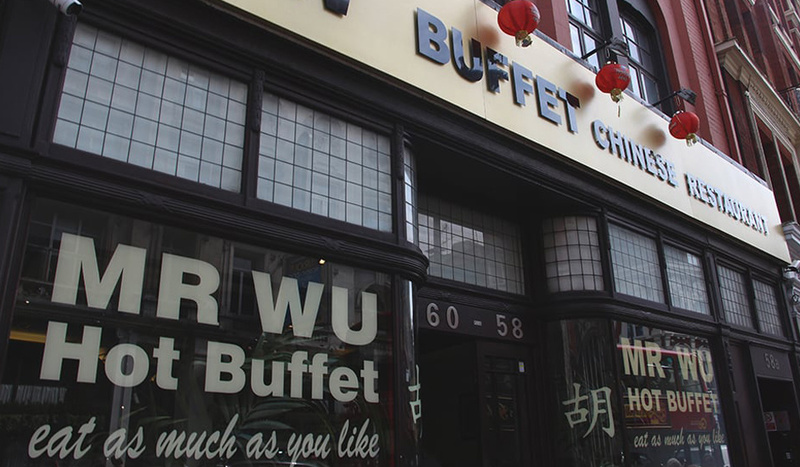 For a cheap and cheerful Chinese fix, Mr Wu is one of the best-known buffets in Chinatown. 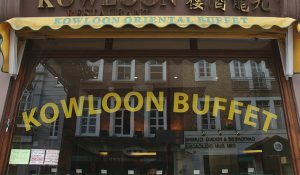 With two branches, Mr Wu Chinese Restaurant on Wardour Street and Mr Wu Buffet on Shaftesbury Avenue, they both serve up all-you-can-eat food for a fixed price. 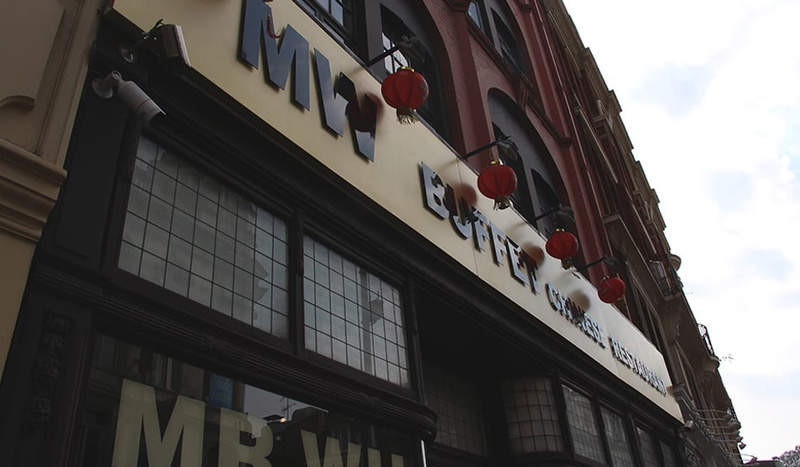 With a larger selection of dishes, Mr Wu Buffet serves mostly traditional Cantonese cuisine. Think Chicken Wonton, Char Siu (barbecue pork), Roast Duck, and Beef with Black Bean Sauce and other Cantonese classics. But expect to find a smattering of global cuisine too, such as curry, chicken with lemon sauce, and even Spanish seafood paella, which are rarely seen in other Chinese buffets. 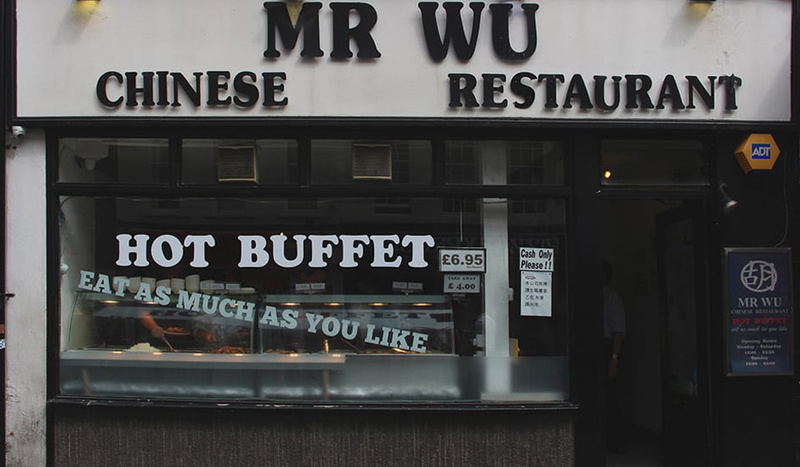 Mr Wu Buffet also serves fruits, yoghurt, and other after-dinner desserts. 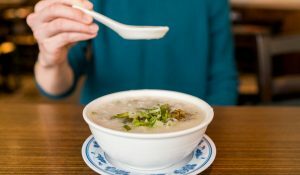 Wardour Street’s Mr Wu Chinese Restaurant provides a wide range of Western-palate-pleasing meat, vegetable, noodles, and rice. 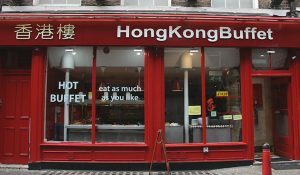 You can load up on Mixed Vegetable Spring Rolls, Stir-fried Lamb with Onions, Salt and Pepper Chicken Wings until your stomach’s content. No frills and plenty of choice make either of the Mr Wus a great choice for a fast lunch on the go.